Right in the middle of Albuquerque (within ¼ mile of the Big I). 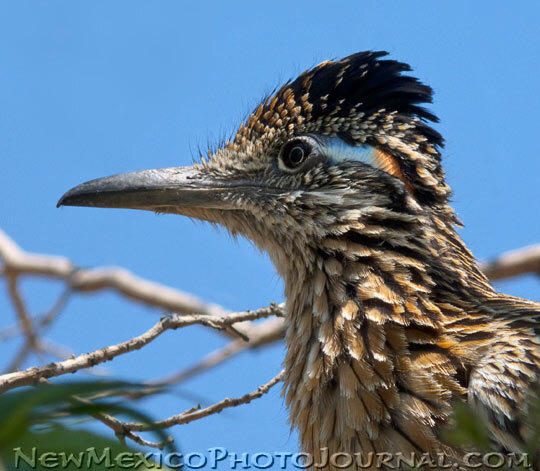 This is the roadrunner who I often see … um … running across Indian School Road. Which is exactly what he did as soon as he noticed me taking his portrait.